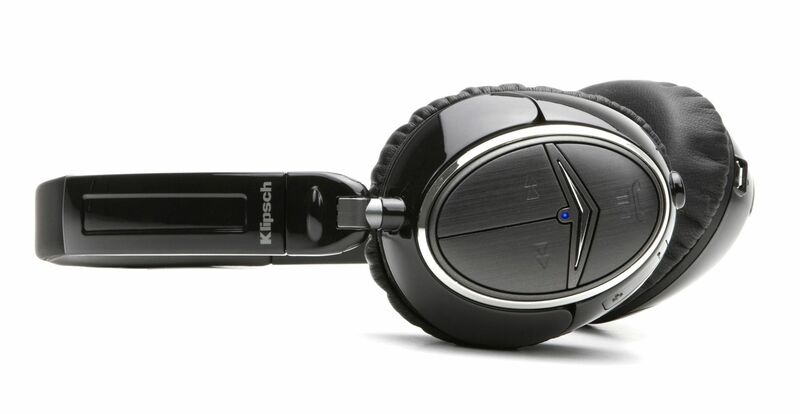 High-end Klipsch took its time getting into the crowded wireless headphone market. 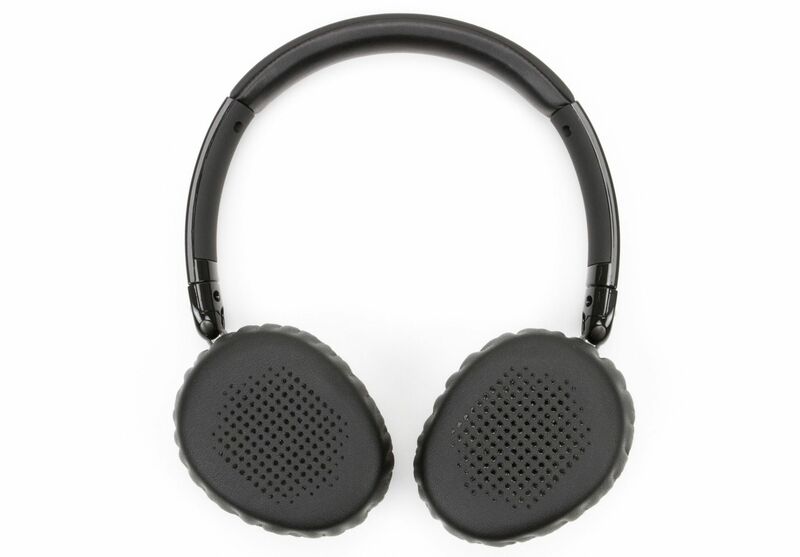 It's there now with its on-ear set of Image One Bluetooth Headphones ($250). But was it worth the wait? Let's find out. As I removed the Klipsch headphones from their packaging, I was impressed by their unusually small size. The earcups are slightly larger than most ears, but not so small that they'll let lots of extraneous sound through. They're sized just right. On my oversized head, the headphones weren't too tight a fit. Each of the extra-cushy earcups were pressing firmly against my ears. Even after an hour, I'm happy to say, they passed my comfort test with aplomb, never giving me that tired and overheated feeling I get from many headphones. Not only do they feel good, they look good. As you can see in the pictures, these cans are mostly piano-black with chrome accents, and best of all, they won't make you look like Mickey Mouse when you're just trying to listen to some tunes. After going through the headphones' super simple Bluetooth pairing routine, I cranked up a variety of music. I found the sound to be equally pleasant playing classical music, funk, jazz, intricate acoustic guitar pieces, a bit of Steely Dan and a healthy dose of hip-hop. Compared to our reference AKG K551 headphones, the Klipsch headphones held up well. 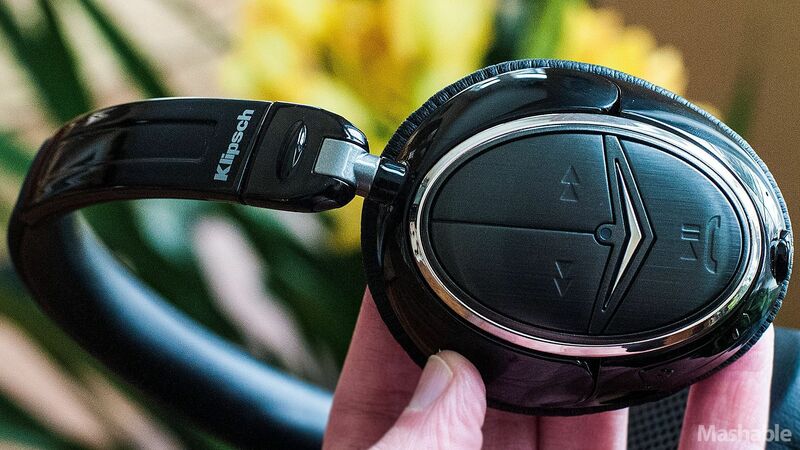 Compared to our reference AKG K551 headphones, the Klipsch headphones held up well. In fact, I enjoyed the tight and thumping bass of the Klipsch headphones better than that of the AKGs. The Klipsch's high frequency response was silky smooth and crisp, but not quite as clean and well-defined as the AKG headphones. The midrange response in both headphones sounded remarkably similar, faithfully reproducing the sound of saxophones and voices — making me feel like they were in the same room. These cans are loud. When I cranked up the volume all the way while testing with an iPhone, I didn't hear one iota of distortion. When plugged into a stereo system with the included 3.5mm cable, distortion was not a factor, either. Their potentially high volume, accompanied by the relatively tight fit of their earcups, means unwanted noises are significantly dampened. It's not active noise cancellation, but it gets the job done. Just don't go overboard — their 115db levels can damage your hearing if you listen too long. There's one other characteristic of these Klipsch headphones that I've never seen before: The usable distance of its Bluetooth transceiver was the most powerful I've ever tested. Walking far beyond the 33 feet (generally claimed as the maximum distance for Bluetooth), these headphones kept on playing and playing, even through two walls. Only when I put a massive furnace between me and the Bluetooth source (at least 40 feet away) did I get any dropouts. Even better, in testing the headphones using the headphone cable versus wirelessly receiving a Bluetooth signal, I couldn't tell the difference. Klipsch's claims of lossless quality from the aptX wireless technology inside was true. Considering that these wireless headphones compared favorably with our reference AKG K551 headphones, which sell for $330, Klipsch's $249.99 price is quite reasonable. 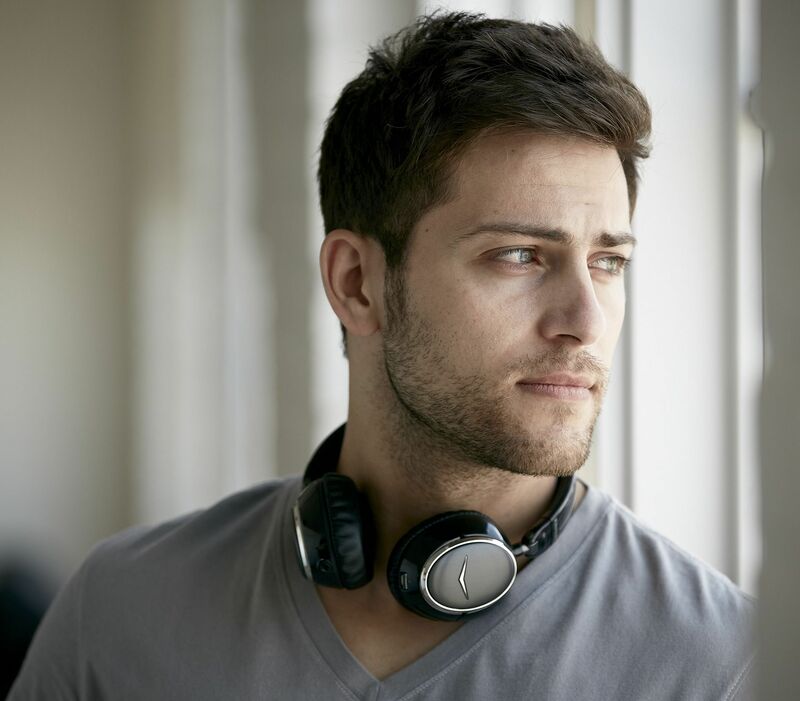 If you're looking for a solid set of wireless cans to take with you on a trip or listen to music wirelessly at home, the Klipsch Image One Bluetooth headphones are a worthy candidate. New Ipad Video Lessons Click Here!